Mac players rejoice – you, too, can enjoy the rich and luxurious gaming experience that is Grand Parker. 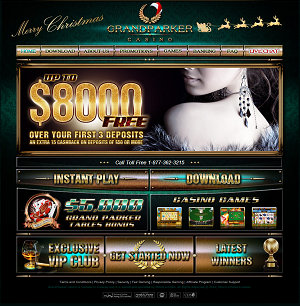 Grand Parker Online Casino has come a long way in a few short years to become a top-rated, first-class gaming site, especially among US players. 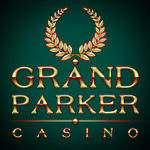 From abundant bonuses to flexible banking options to a great selection of well-animated games, Grand Parker is a fantastic option for Mac and Macbook users looking to have fun and score money on the slots or green-felt tables. The casino is licensed in Curacao and powered through Real Time Gaming (RTG). Under the Real Time Gaming platform, the instant play version is Mac (and PC/Windows) compatible and offers nearly all the games – around 120 – besides some of the specialty ones that can be found in the download-only version that’s exclusively for Windows users. The difference between the versions is hardly noticeable and the actual games are extraordinary in both. 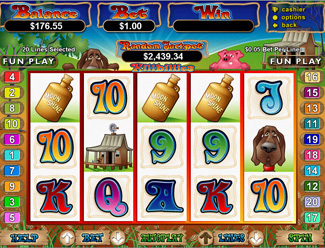 With over 80 choices in slots, the slot machine lover will grow tired of the selection, and with table games ranging from American and European Roulette to Keno and Bingo to Craps and Baccarat, anyone headed for the tables will find what they’re looking for. The slots selection is deep with over 80 different slot machines to choose from, including bonus level slots, progressive slots, video slots, and even old school appearance three-reel ‘one arm bandit’ slots. 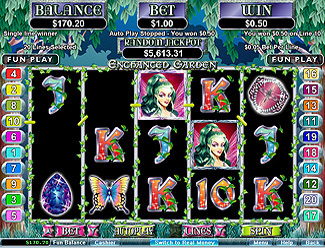 Slot selections include games like Aztec’s Treasure, Enchanted Garden, Goldbeard, Fruit Fight, Diamond Dozen, Crazy Vegas, and even seasonal themed slots like Rudolph’s Revenge. There really is something for every slot lover at Grand Parker Casino. As well as the special deposit bonus offer above that we’ve teamed up with Grand Parker Casino to offer, we’ve managed to come to an agreement with GP to give our readers a totally free $10 to try their Mac slots software. This no-frills offer is exclusively available through our site and nowhere else, so we recommend taking full advantage and try their slots with this free $10. 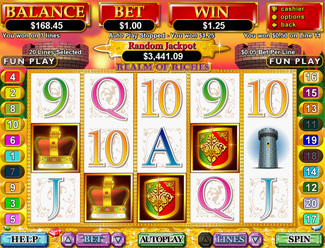 There are some conditions associated with the free $10, such as you’ll have to play a particular slots game called Loch Ness Loot, but other than that it’s a totally free and worth taking advantage of – you could win big on their dime! We’ve teamed up with Grand Parker to be able to offer our loyal readers an exclusive offer for new players to the casino. Enter the code WELCOMEMAC at the cashier after you register to receive a rare 400% on your first two deposits plus 20 free spins. In addition to the special MacSlots.com promotion, the casino’s bonuses include up to $8,000 towards the slots over a player’s first 3 deposits and up to $5,000 towards the tables over the first 4 deposits. High rollers on the tables are eligible for a nice 250% bonus for up to $2,500. These bonuses are only available to all new Mac/Macbook readers coming from our site, so make sure to use the bonus code above to make sure you’re getting full bang for your buck. Also be aware that there are some terms and conditions on every bonus, but these are standard and certainly nothing that should discourage you from taking full advantage of these huge deposit bonuses (some of the biggest we’ve ever found online). Banking is made simple and kept secure with various depositing options and easy withdrawals. You can use your credit card to make a deposit or use a third-party service like Moneybookers/Skrill, UKash or NETeller. Paypal no longer accepts gambling transactions, but these other third-party ewallets are equally good options. Withdrawals must be verified by the player’s bank and can take up to 10 days for processing. If any questions should ever arise, you’ll have no need to worry. Player support at Grand Parker is available around the clock and through three different channels: email, phone or live chat through the site. We’ve tested both the live chat and the telephone services and have found them to be both quick to reply and surprisingly knowledgeable and helpful. It’s always nice to know you’ve got solid support waiting if you ever run into any problems, no matter how small or major they may be.